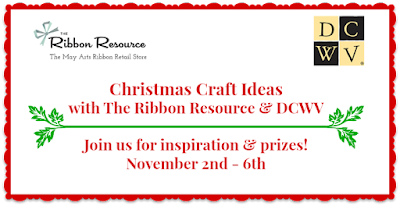 The Ribbon Resource, May Arts Retail Store, and DCWV are partnering up and have been sharing a fun filled week of holiday inpiration. If you are just tuning in you should check out all the gorgeous projects that were featured all week. Make sure you leave comments! You know there will be PRIZES!! 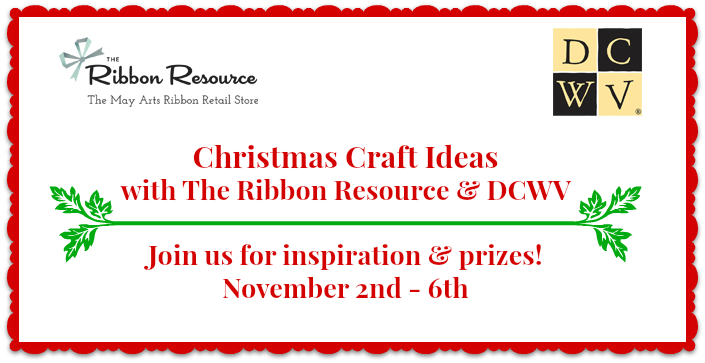 I created a fun banner to share with you today. 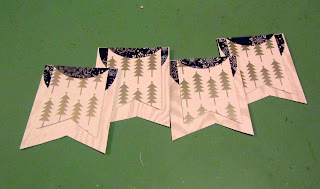 I used the Frosted Spruce 12x12 premium stack from DCWV and the 1.5 inch White Silky Crush ribbon from May Arts. I strated with three different patterned papers from the stack. Cut various sizes and trimmed to shape then layered up banners to attach my painted wood letters to. Once the letters were glued on I punched holes on both sides of each banner. 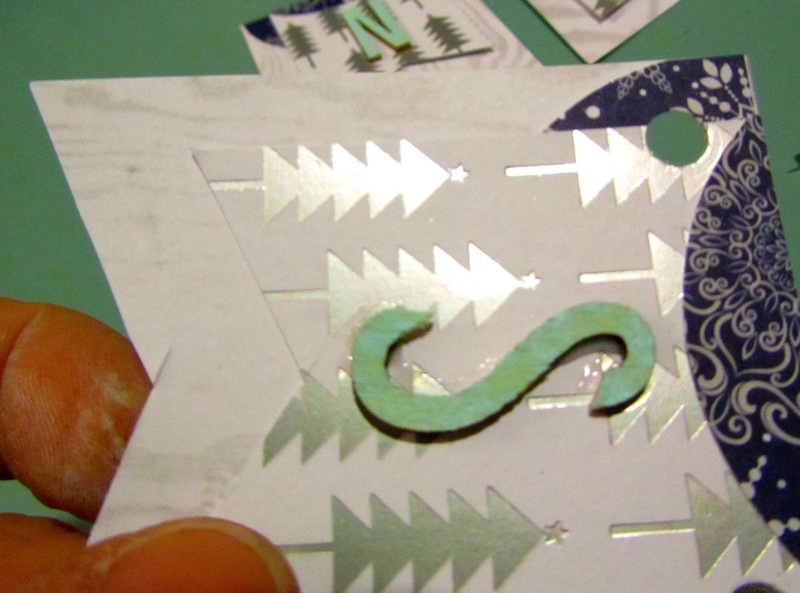 Then I ran the ribbon through the holes to create my SNOW banner. I up cycled a hanging frame I had with checken wire and small clothes pins by adding a layer of white paint to 'white wash' the frame. 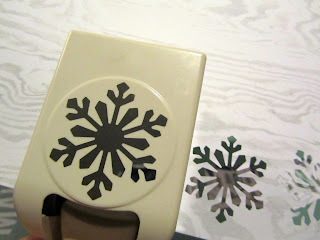 I puched these snow flakes to put on top of my clothes pins and to add a few to the frame. Viola! 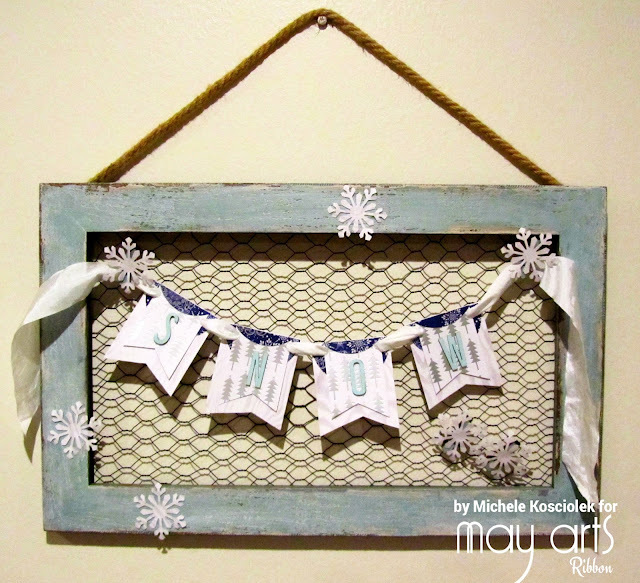 Easy peasy and a super fun wall hanging for the winter. What a super adorable idea! Love it! this is so pretty. It's small and would fit in anywhere. I do love that punch. I have several frames ready to use! Getting exgited. That's so cute. I love country wintery things. Chicken wire is fun. Beautiful job!!! Love how you put this together!! Great papers and I love the ribbon too!TFS! PRETTY banner and BEAUTIFUL decor piece Michele!!! LOVE your shimmering paper, ribbon and snowflakes, LOVE the distressed frame with the chicken wire too!! !